Your gums are the foundation of your oral health. 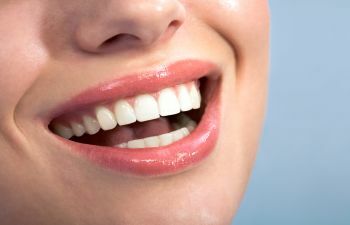 When neglected, the gums can become irritated and infected, posing a threat to both your smile and your overall health. At Montevallo Family Dentistry, we help patients avoid the devastating consequences of gum disease. Gum disease is not only the leading cause of tooth loss in the United States, but advanced stages have been linked to heart disease, stroke, diabetes and premature birth. Our comprehensive dental practice offers a full range of general dentistry services, including advanced treatments to manage and even reverse gum disease. Gum disease is most treatable when detected at its earliest stage, gingivitis. This occurs when plaque and bacteria have accumulated along the gum line and produced swelling, redness and irritation within the soft tissues. If left untreated, gum disease will progress and cause the gums to pull away from the tooth root. In result, deep pockets begin to form, which harbors and traps additional bacteria, plaque and food debris. At this advanced stage of infection, your underlying bone and tooth stability are at risk. At Montevallo Family Dentistry, we closely monitor the health of your gums during your routine dental exams. If you have signs of gum disease, we will suggest appropriate measures to eliminate the infection before it causes further harm. In most cases of early gum disease, a deep cleaning (or scaling and root planing) can effectively restore your gum health. However, our office is equipped to treat all stages of gum disease. As your trusted partner for excellent oral health, Dr. Shunnarah always takes the time to explain the causes and risk factors for gum disease. Your oral hygiene routine or smoking habit may be greatly contributing to your struggle with this serious oral health issue. To learn more about our advanced gum disease treatments in Montevallo, please contact Montevallo Family Dentistry today. A healthy smile is a beautiful smile.